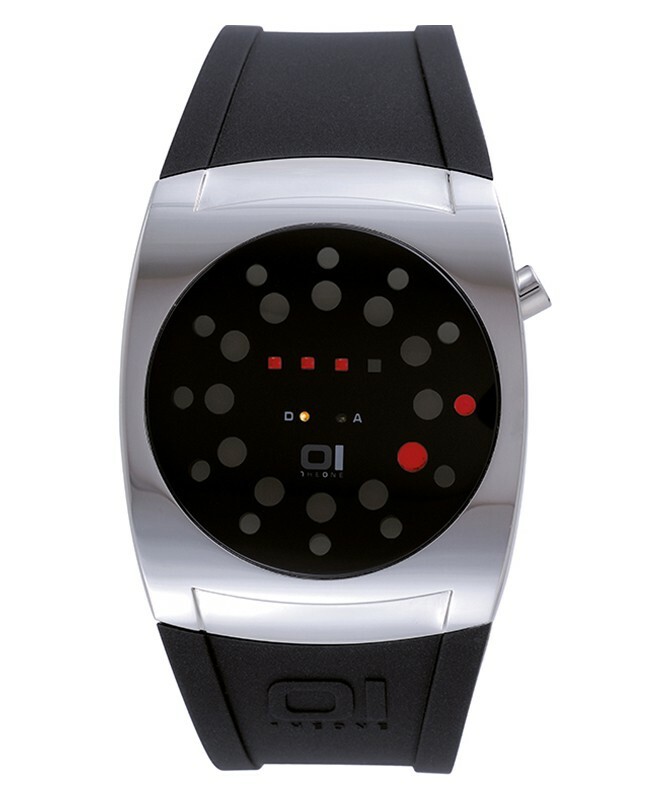 The One 01 Watches Lightmare has a really cool and trendy appearance. Dimensionally the timepiece has a well-proportioned stainless steel case measuring 49mm x 41mm x 13.20mm. What makes this timepiece so attractive is the non-conventional led dial. Other features include a small pusher, mineral glass and a black PU strap.